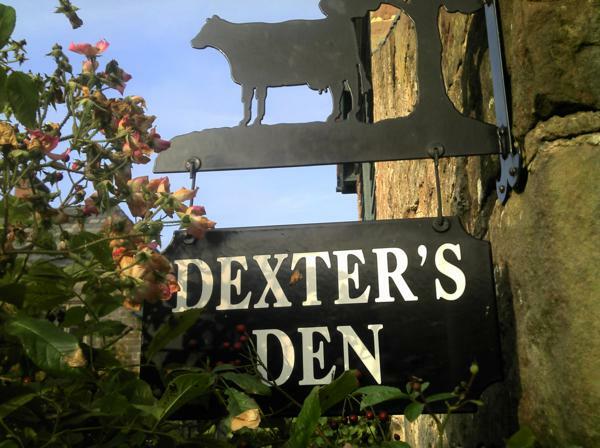 The Dexter cottage is named after our herd of friendly Dexter cows, roaming over 40 acres of fields and woodlands at Paddocks Farm. 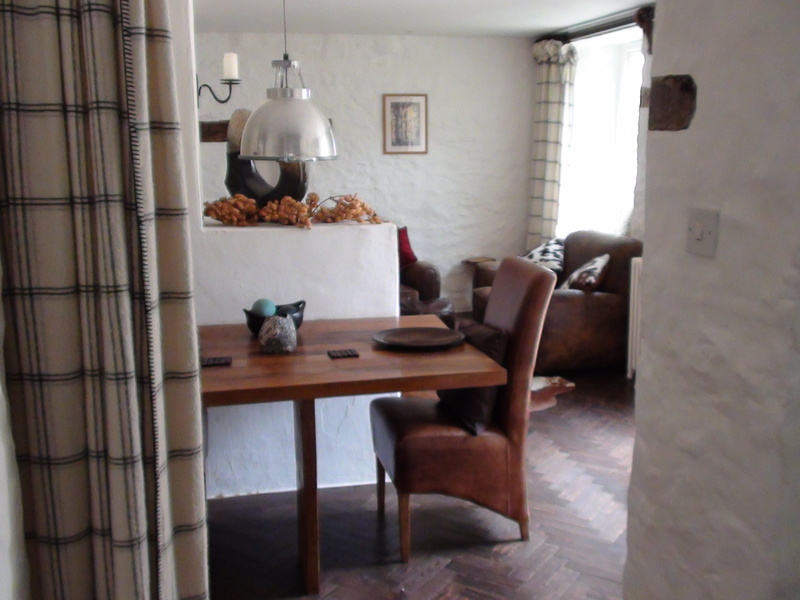 This delightful cottage is entered through a wooden stable door, great to open the top half and let nature in. 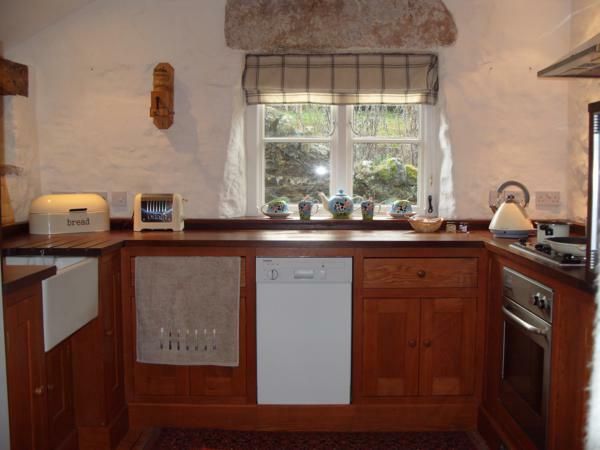 An open plan ground floor includes a fully equipped kitchen with windows, wooden work tops, and quality equipment. 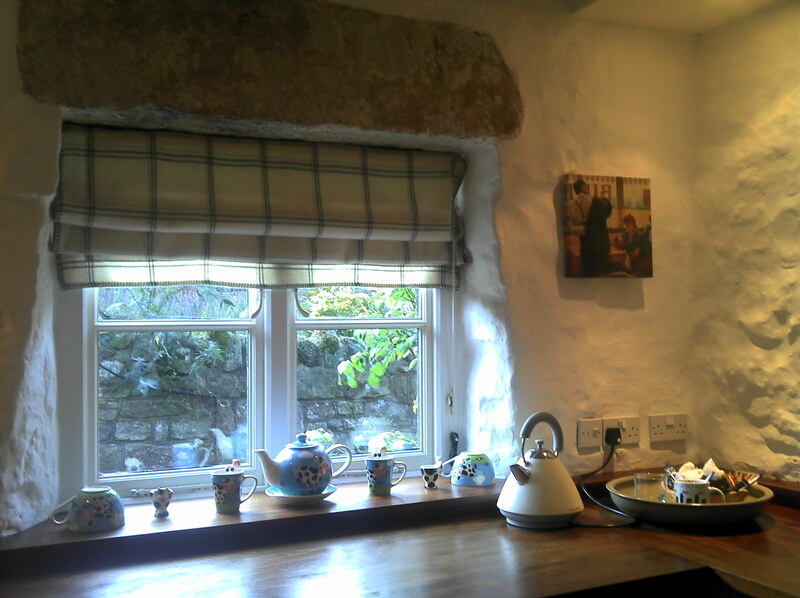 A pure wool curtain separates this from an intimate dining area with traditional fisherman’s lamp. 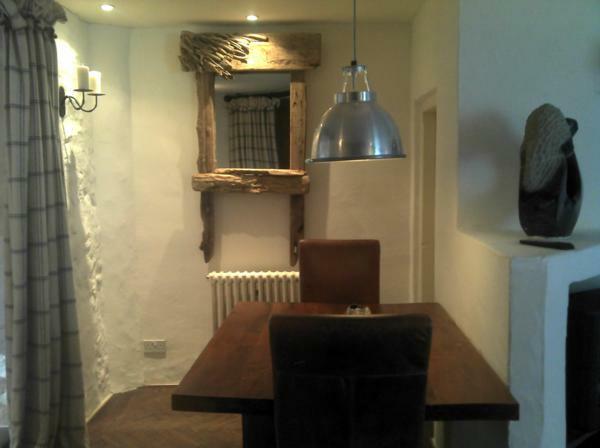 The dining area is positioned for great views through the stable door. 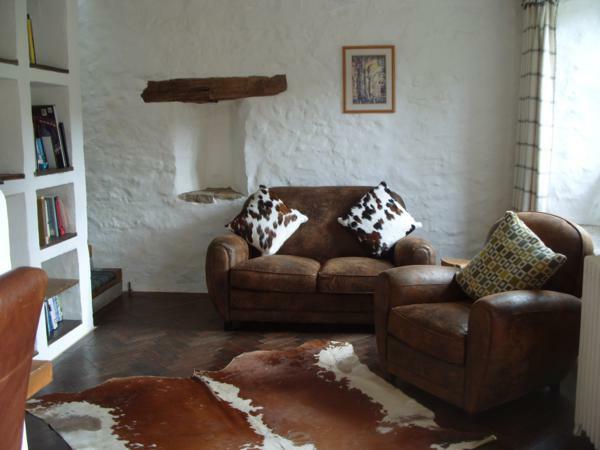 The dining area then flows through to a lounge with two sofas to curl up on and a television and dvd player with a range of films to chose from. 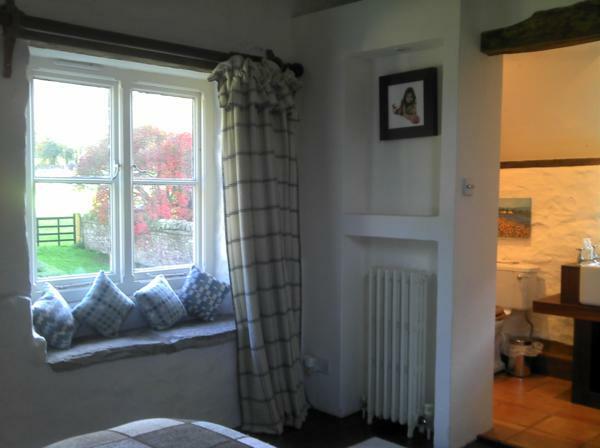 Upstairs is a bedroom bathed in natural light again with stunning views, and an en- suite bathroom. 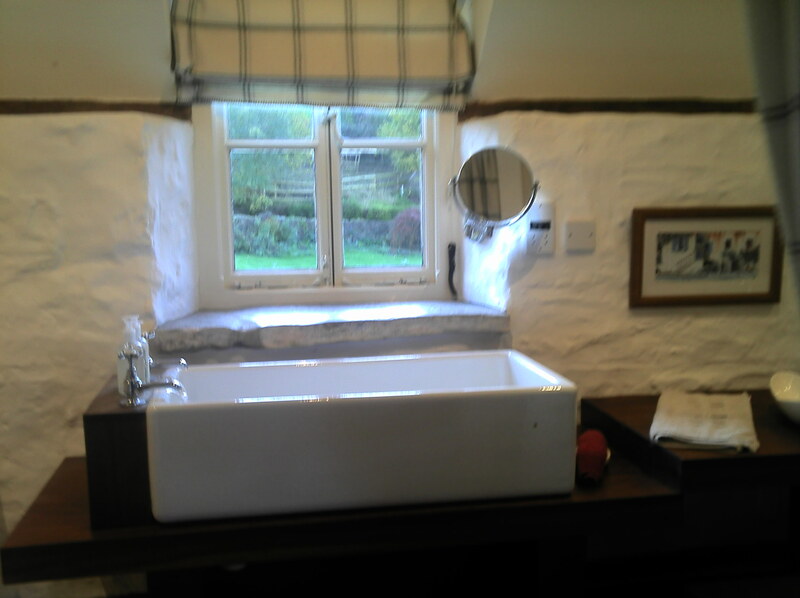 Deep sunken bath and endless supply of hot water and a traditional sink that you could almost bath in! 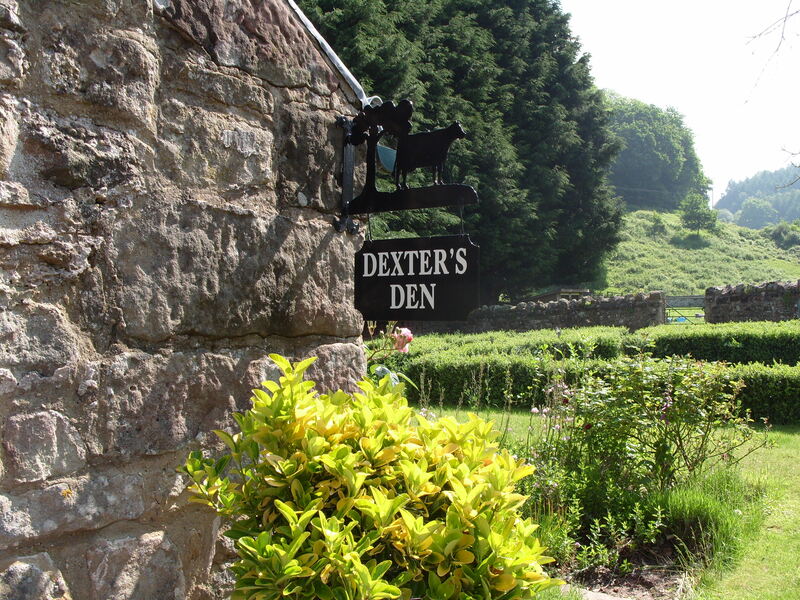 Then to top this off is Dexter’s own private walled garden. 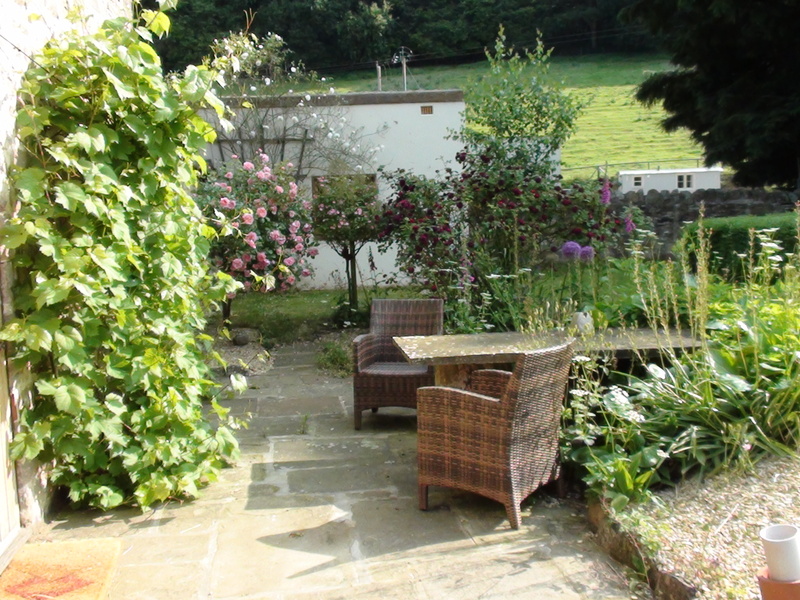 The garden starts with a courtyard area with a stone table and chairs, vines, roses and herbs. 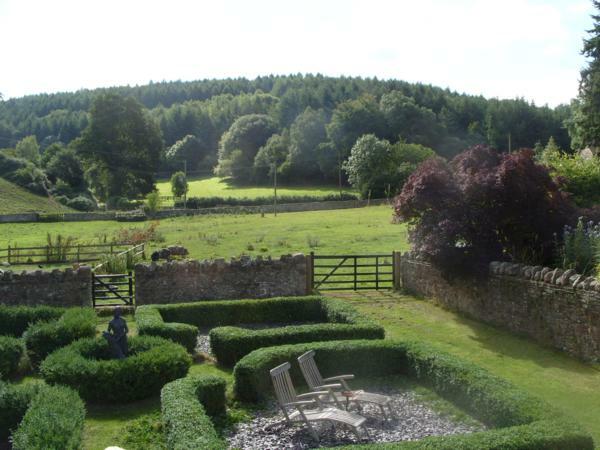 Flowing from this courtyard is a formal garden divided into four boxed hedged areas and surrounded by lawn. 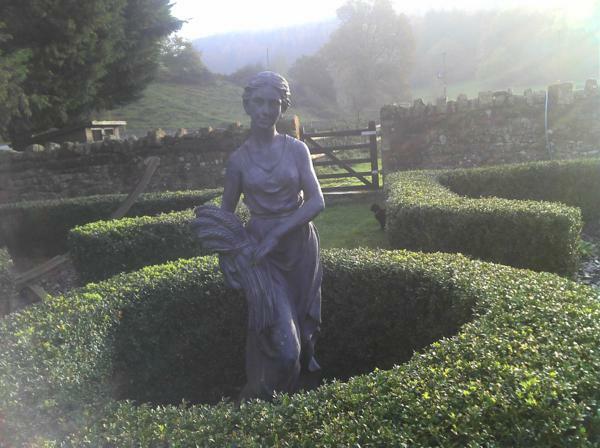 Each boxed hedge area offers a different way to enjoy the garden. 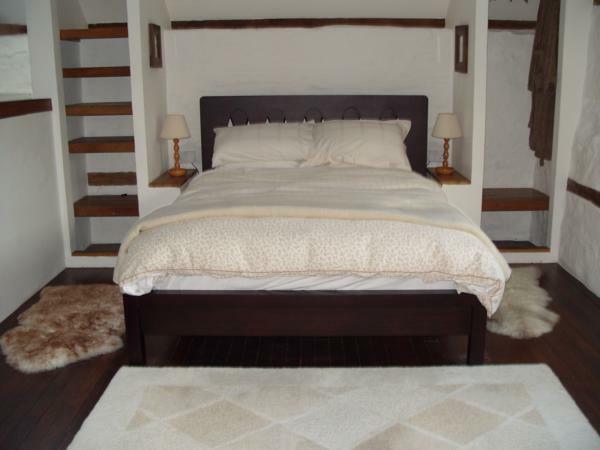 One area houses a huge hammock, another two sun loungers with umbrella and the third another table and two chairs. The fourth is home to some self seeded fox glove. 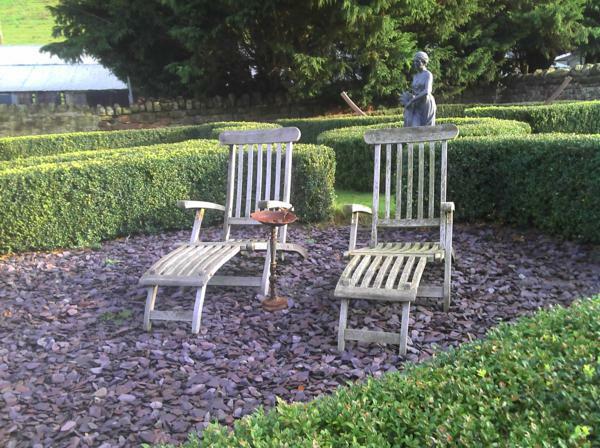 The garden captures any sun rays going all day long and is designed for delicious tranquil moments. 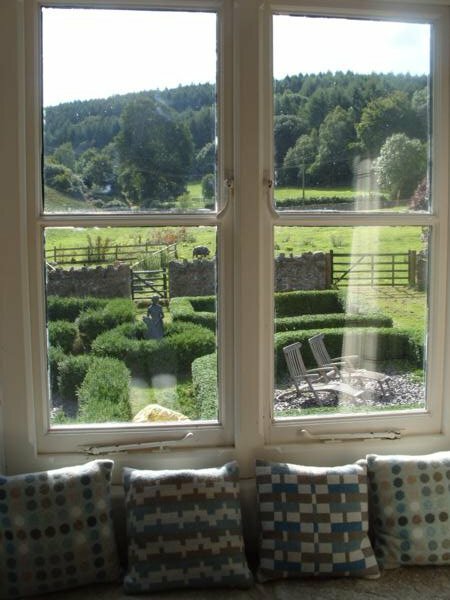 The backdrop to this garden is a picturesque un spoilt valley view and animals contentedly grazing.